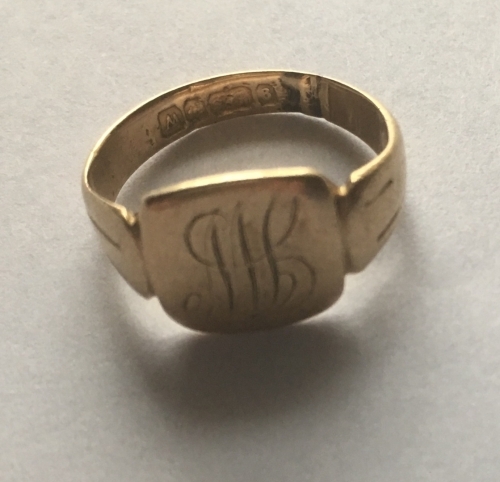 A vintage 9 carat gold ring with engraved initials. Name: A vintage 9 carat gold ring with engraved initials. A plain 9 carat yellow gold band ring with previously engraved initials. 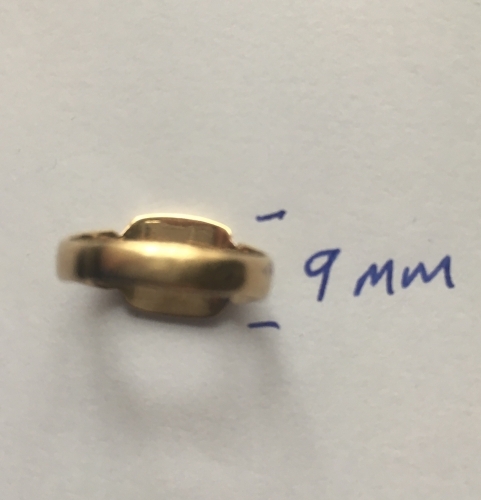 Estimate size is between H and I according to a ring sizer I recently bought. Please see photo. 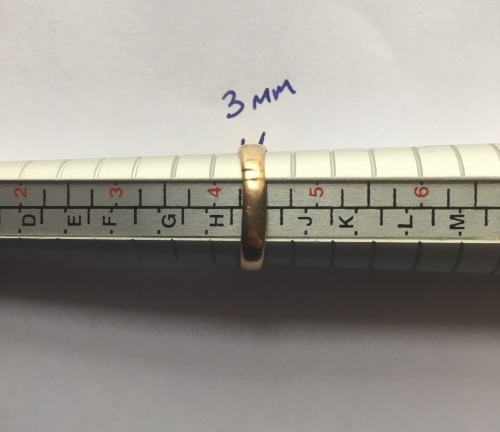 The ring is approx 9mm wide at its widest part and weighs approx 2.3 grams. Please note that although I try to be accurate, all measurements are approximate. 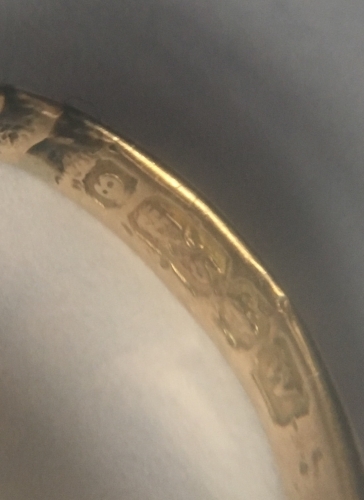 The ring seems to have been previously engraved with what I think are the letters IB in what look like a Gothic script.